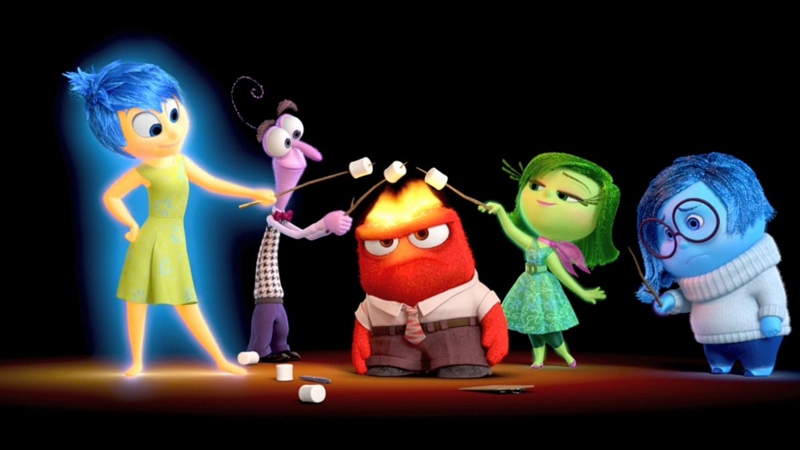 Inside Out’s refreshing look at the human psyche focused on the personification of 5 main emotions: Joy, Sadness, Fear, Anger, and Disgust. But the movie began with quite a few extra emotions running around in Riley’s brain—26 of them, in fact. In a special feature included as part of the film’s Blu-ray release, co-director Pete Docter said that when the team began plotting out the basics of Inside Out, there were plans to include up to 26 different emotions that delved into some more obscure or abstract concepts. Suggestions that were ultimately cut included Schadenfreude, Hope, Pride, and even Ennui—unfortunately “Sad, force optimism” or “Hazy Political Self-Righteousness” were presumably never included. So in the end, “we named them as to what their job was, and we cut out any others, to get the clarity of those five. It makes a lot of sense, really—Inside Out already had a lot to balance on its plate. Adding in so many extra, abstract emotions may have just made the whole thing come apart... as much as we’d love to have seen Pixar’s anthropomorphic take on Schadenfreude. Inside Out will be available on Blu-Ray tomorrow, November 3rd.